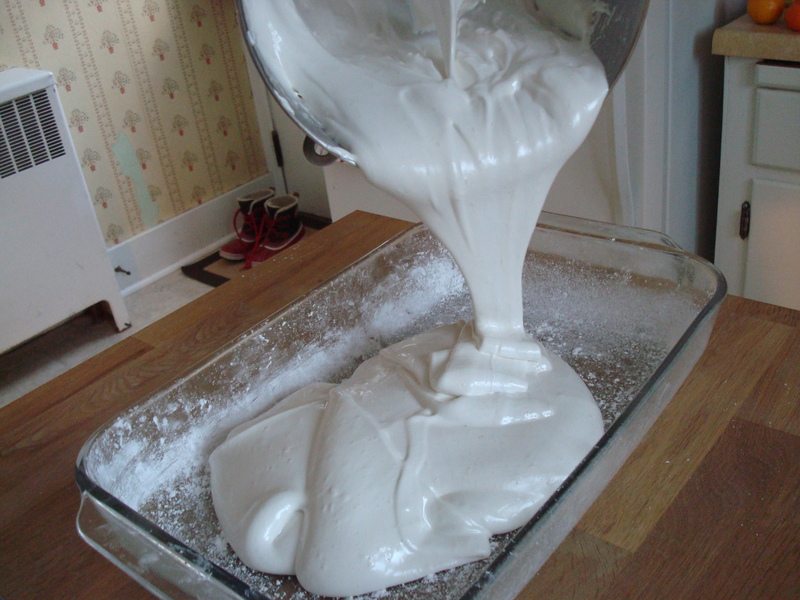 Last week when I made marshmallow brownies I got lots of comments from people saying how easy it is to make marshmallows at home so I decided to try it, and boy were they right! Why hadn’t I tried this sooner? 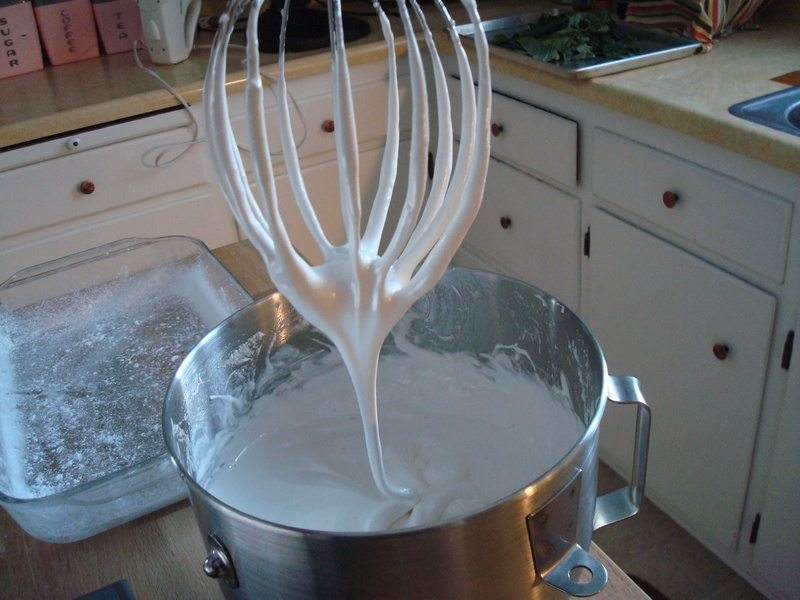 I’m very glad I read about smitten kitchen’s early experiments making marshmallows and so followed her advice about how sticky the process is and how one should not try to get every last drop of batter out of the bowl at the risk of knitting their fingers and spatula to the bowl, cause otherwise I totally would have done that. I don’t like to waste food. It pained me afterwards to have some batter still stuck in the bowl that I had to rinse out with hot water and watch go down the drain but let me tell you, this stuff is stick-y. No joke. 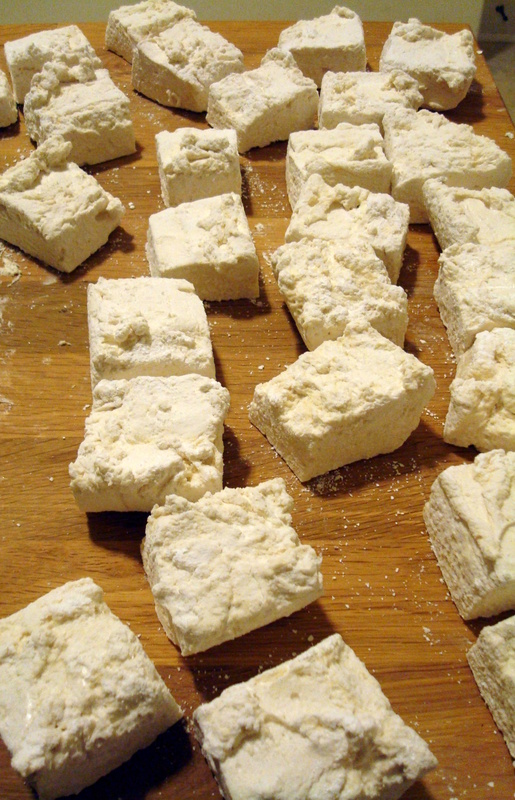 A few hours later I turned the marshmallow block out onto my cutting board and used an oiled pizza slicer to cut up the marshmallows into lovely little blocks. 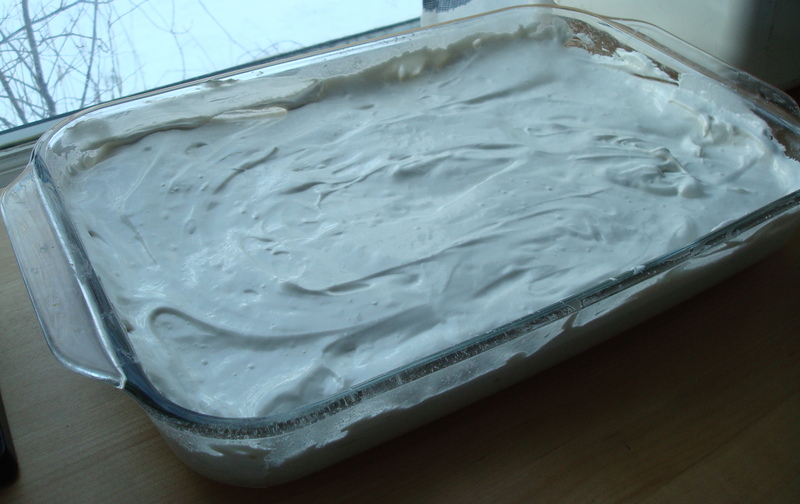 I strongly recomment putting some confectioner’s sugar down on the cutting board prior to this step. It was incredibly sticky and cleaning up my cutting board countertop was not the easiest. 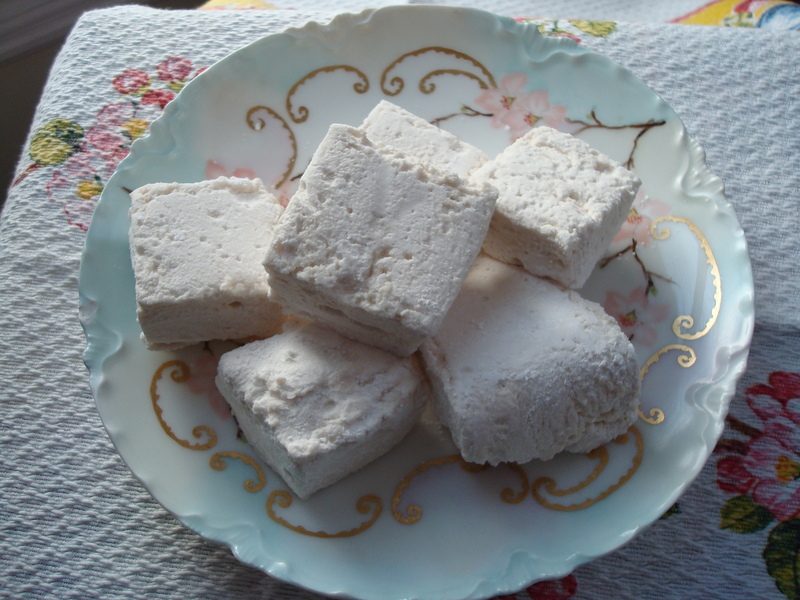 Now, I will admit that my marshmallows are not as pretty as City Bakery’s and not quite as tasty but they are pretty darn close. And since Wisconsin is not so close to 18th St and 5th Ave in NYC, I’ll take it.